There’s the traditional route of selling your house with a realtor, and there’s the fast route. Which do you want to take? If you really want to sell your house, avoid realtor commissions, get a fair all-cash offer, and have a variety of creative selling ideas, working with a real estate investor is the path of least resistance. A realtor’s fee is in essence a marketing fee. You’re paying them to advertise and walk buyers through your property, but when you deal with the buyer direct, you get to pocket that 6% of the sale, not to mention saving significant time. Maybe you don’t have time to let your house sit on the market for months, entertain insincere buyers, and fall out of escrow multiple times because the financing didn’t come through. When you sell traditionally, you rely on a lot of moving parts to sync up, and quite often, they don’t. When you work with a real estate investor, you’re working with a professional who does this for a living. They typically don’t use traditional financing, and will often make you a cash offer. Working with a realtor can take months for the sale of your house to close. The fastest typical closing is 30 days, but an investor can typically close in 7-10 days. How relieved would you feel if you knew your house was going to be sold in a week? Investors simplify the selling process for you, at no cost to you. Real estate investors know the market just as well, if not better, than the realtors in the same area. They can and will give you a fair assessment of your home value, with the research and comparables to back it up. Most investors will give you a couple offers to choose from: an all cash offer, and a terms offer. Traditional buyers are often limited to conventional financing. An investor’s ability to creatively finance a property means that you get the money you want from the sale of your house, quickly, easily, and effortlessly. When you cut out the middleman, (realtors and banks) the process hums along smoothly. It’s the difference between walking outside and pulling a carrot from your garden, and driving to the store to buy one. Which is easier? Which do you prefer? You don’t have to hire a home inspector. A lot of investors don’t have a home inspection contingency in their contract. In fact, most of the contingencies are waived – inspection and financing being the two top deal breakers. You can avoid the hassle of advertising the sale of your home yourself, or paying a realtor to do it for you. 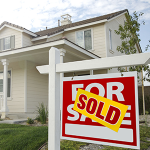 Those for sale by owner signs are magnets for the inexperienced and non-serious homebuyer. Imagine, not having to make a single repair either? Often times the condition of your home is of no consequence to the investor, whereas if you are trying to sell your property to a retail buyer the potential repairs would be overwhelming enough to kill the sale. Retail buyers don’t want to fix houses, but a real estate investor’s job is to fix houses. Also, contrary to popular belief, most investors are willing and want to help you understand the buying and selling process. They’re in the know, and they want you to be as comfortable as possible during the process. Investors understand that you don’t have time to idle around waiting for your house to sell. They’ll give you honest answers about the price and potential deal structure that will make the most sense for your situation. Selling your house doesn’t have to be hard. It doesn’t have to be confusing, frustrating, or a waiting game. Release the stress and get the help you deserve by working with a professional buyer who does this every day. If you need help or an honest assessment on the sale of your house, feel free to contact us. We will make you an offer within 48 hours.